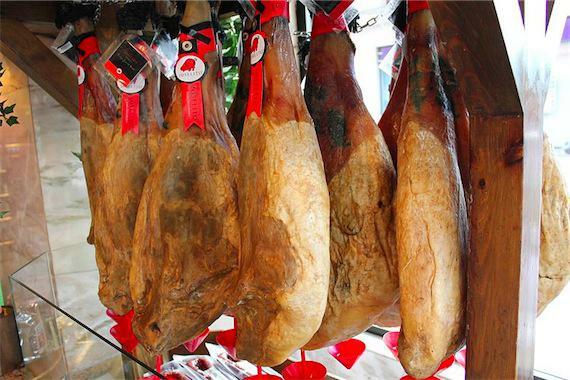 Delicious Spanish ham. German consumers should try some. That’s meant to be a reductio ad absurdum of the idea that these problems can and should simply be solved by a German-financed bailout. But why are we discussing this in terms of bailouts at all? The underlying presumption of a lot of this discourse seems to be that running a large and persistent trade surplus is a really awesome state of affairs that Germany would only very reluctantly give up. Indeed, so reluctantly that it makes more sense to talk about the idea of Germany simply mailing money to the deficit countries. But a persistent trade surplus isn’t fun? It’s a drag! It’s means you’re doing a lot of work for a relatively small amount of stuff even though the whole point of working is to get the stuff. Southern Europe needs higher income, and Germany is one likely source of the income. But instead of bailouts, Germans could provide Southern Europe with money in exchange for goods and services. Olive oil! Beach vacations! Marble countertops! Americans manage to buy more stuff made in Spain and Italy than we sell to Spain and Italy. They have a lot of fun, delicious stuff in Spain and Italy. In the past I’ve tried to ask German government officials why they seem so dedicated to their trade surplus, and they tend to get very defensive and talk about how I shouldn’t be blaming them for making such excellent products. But the absolute quality of German manufactured goods isn’t what’s at issue here. Germany is a major gross exporter because Germans make lots of great stuff. But Germany is a major net exporter because German households just don’t buy very much stuff. They could buy more. Southern Europeans would be happier—they’d have higher incomes and fewer debt problems. Germans would be happier—they’d have more stuff. Americans would be happier—we’d read fewer articles about the imminent collapse of the European banking system.